Each year, on a certain day, we are showered by joyous choruses of “Happy Birthday”. We may get to blow out candles, eat cake, and maybe even unwrap some gifts. Some of us love them, some of us wish them to pass quietly, but for our kids in Colombia, a birthday celebration is a very special occasion and means so much more than just another year passing. The town of Guacamayal in Colombia is steeped in poverty. Unemployment, low wages, violence, abuse and neglect are just some of the difficulties its inhabitants face. At our Day Care Centre we provide a safe and loving environment, hot meals, homework help and fun activities for the poorest children. We then support our children’s family through parenting classes, training and housing support. For our children with more complex medical, psychological and emotional needs, we go the extra mile in giving them the support they need. The parents of our children live on meagre incomes, many are single parent households and they struggle to make ends meet and provide for their children. They often do not celebrate their children’s birthdays for lack of money and sadly, many children do not even know when their birthdays are. We make sure we know when our kids’ birthdays are and that no child is forgotten. We celebrate their birthdays to make sure our kids know that they are loved, valued and special. Every three months we hold a big birthday party for each child whose birthday it has been. Each of the birthday children receive a present. 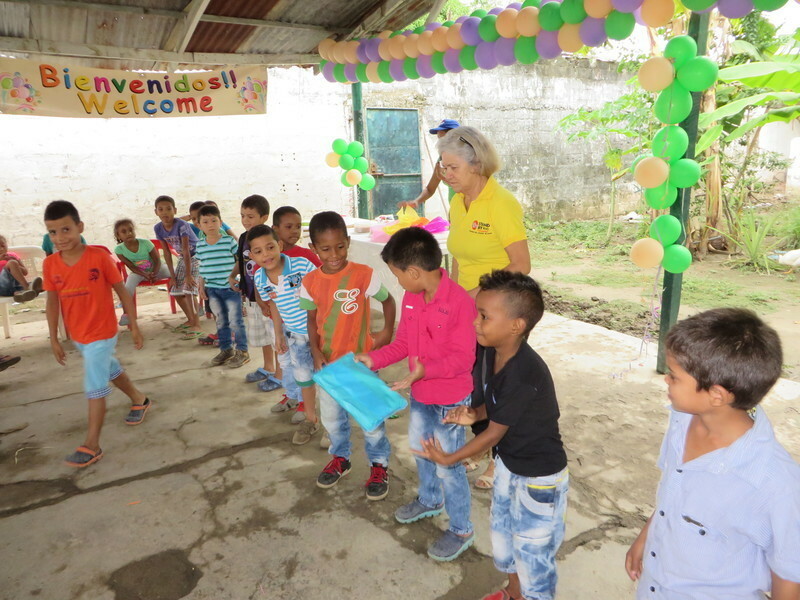 Our staff in Colombia are thankful to be able to give the children their birthday gifts and provide exciting snacks to share God’s love with them. The party involves all the children in the fun with games. Guacamayal has no entertainment places, so the children really value and enjoy the parties. It makes it extra special for our children when they receive a birthday card or gift from their sponsor! Ayana is a student at our Abdi Academy in Dembi Dollo. At home he lives in a one-roomed mud hut with his parents and 6 older siblings. At school he is a hardworking student who has a talent for writing. The whole school listened eagerly as he presented his article. We rescued Vung from child labour after she tragically lost both her parents before she was 10. She thrived at our Sophia Home and is now employed as a Medicaine Assistant at Pathay Hospital. She may have moved out of our Sophia Home, but she’ll always be one of our kids.